OpenCandy, the startup that tries to offer bundled applications that you might actually want to use, has added Joe Kraus, founder of Excite, JotSpot, and DigitalConsumer.org, to their board. Kraus is currently a Director of Product Management at Google. 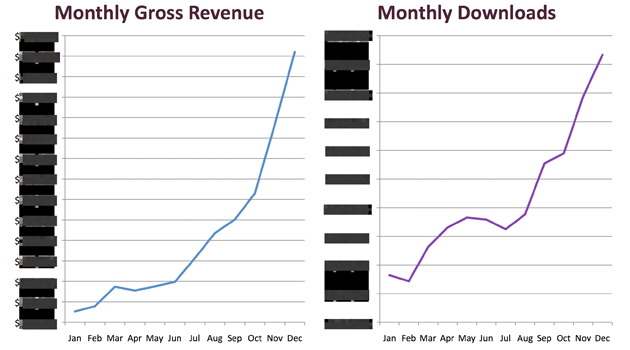 Alongside the news, OpenCandy has also shared a pair of graphs showing their growth over the last year. They haven’t provided any absolute figures so we can only get a vague idea of how well they’re doing, but they’re clearing showing some hockey stick growth. OpenCandy operates in territory that’s long been the domain of spam: bundled applications. Oftentimes when you download a piece of Windows software you’re prompted to install another application along with it (the most notorious of these are apps like WeatherBug and the Ask Toolbar). Most of the time, people don’t actually want this additional software they’re installing, but they inadvertently agree to install it anyway because their installer makes that the default choice. Despite griping from users, developers continue to offered bundled apps with their software, because it provides them with an extra stream of revenue. When you install a bundled app, the developer of the original application gets a kickback. OpenCandy is trying to make this process more transparent and intelligent. When you install an app that’s using OpenCandy, you’ll be asked if you want to install a bundled promotional app. But instead of making this the default action, installing the second application is opt-in, so you’re not going to do it accidentally. OpenCandy also looks to ensure that the applications it offers are high quality, without spam and spyware. It lets software developers “recommend software they love”, without losing the bundle revenue stream. Of course plenty of people object to bundled apps in the first place, but this is clearly a better solution than the misleading install flows. http://vimeo.com/moogaloop.swf?clip_id=5219644&server=vimeo.com&show_title=1&show_byline=1&show_portrait=0&color=&fullscreen=1See an OpenCandy Recommendation (80 seconds) from OpenCandy on Vimeo.